Russian President Vladimir Putin said that the share of Yars modern missile systems in Russia's Strategic Missile Forces (SMF) would stand at 72 percent by the end of 2017. SOCHI (Sputnik) — The RS-24 Yars was introduced into service in July 2010. It is an upgraded version of the Topol-M ballistic missile that can be fired both from a mobile launcher and silo. 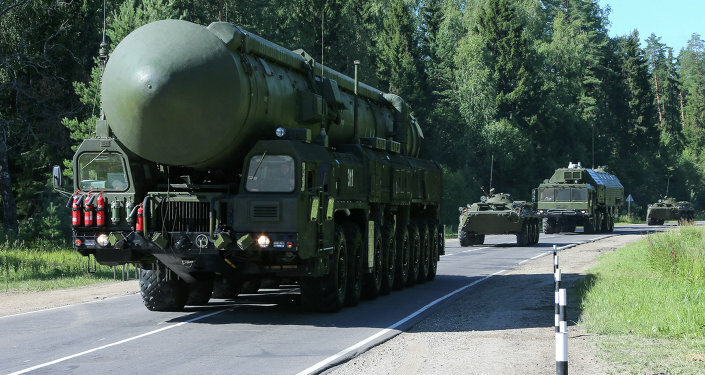 The RS-24 Yars (NATO reporting name SS-27 Mod 2) carries ICBMs with multiple independently targetable nuclear warheads and has a range of 6,800 miles. 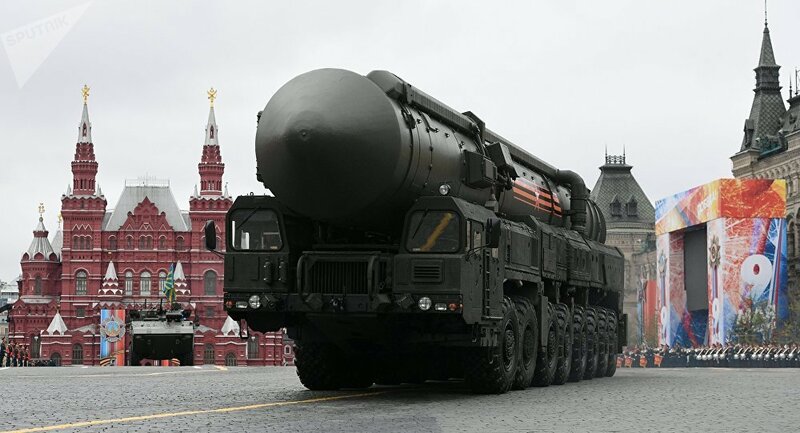 "The Strategic Missile Forces systematically switch to the mobile and mine-based Yars complexes. The Russian Strategic Missile Forces are armed with such modern complexes by 62%, while by the end of 2017 their share will increase to 72%," Putin said. Putin on Thursday held a regular meeting with military commanders and the leadership of the defense industry. The share of modern weapons in Russia's Aerospace Forces will reach 68 percent by the end of 2017, and the share of modern armaments in the Navy will increase to 55 percent by the end of the year, Putin added. "The share of modern weapons and military hardware in the navy is now 47 percent and should by the end of the year increase to 55 percent," he said. "The share of modern weapons in the Aerospace Forces has now been brought to 66 percent, and by the end of this year it should increase slightly and reach 68 percent." On Monday, Putin held another meeting with the Russian Defense Ministry officials and the military-industrial complex enterprises. He said that the Syrian combat experience, as well as the need to protect the country's territory in the west, south-west and the Arctic demands army's rearmament. Putin said that last year 5,600 new types of weapons have been received by the Russian army. Moreover, some 3,000 models of military and specialized equipment were repaired or modernized. He said that this year the Russian Armed Forces must be supplied with advanced weaponry by 62 percent.